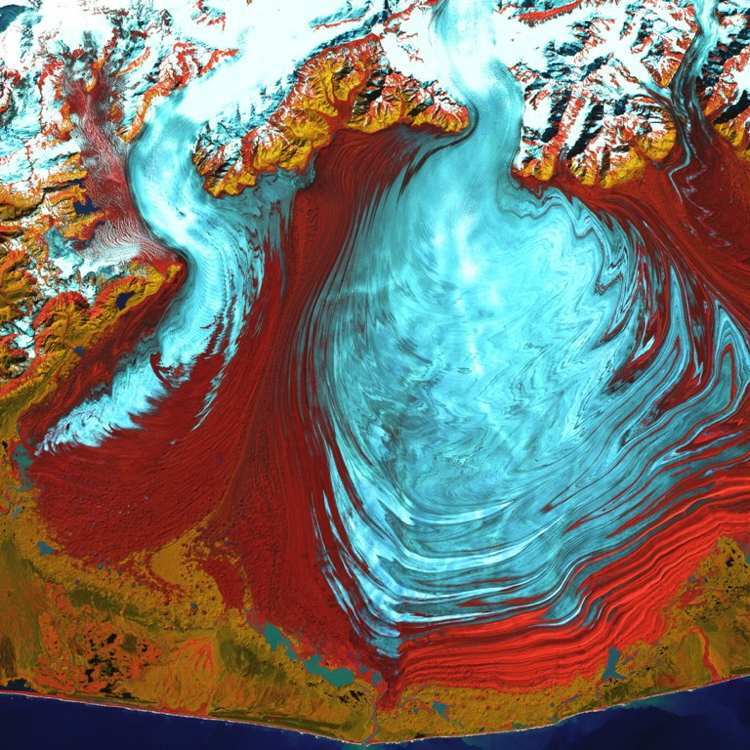 The Landsat 7 satellite is responsible for capturing Alaska’s largest glacier, the Malaspina. 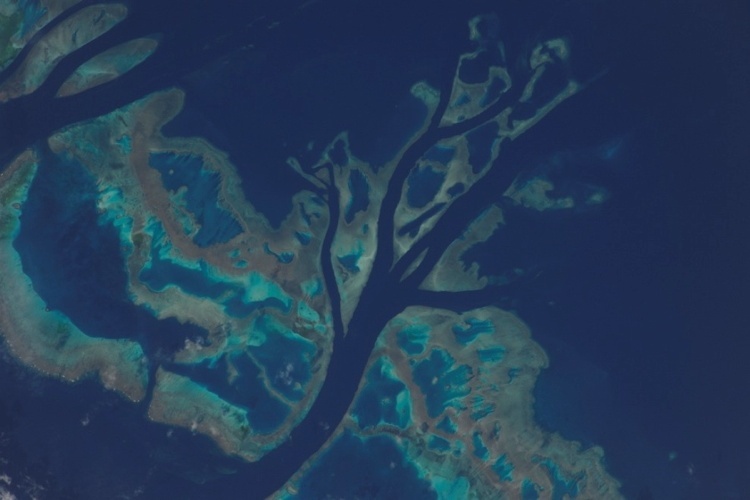 The coloring of the image has been altered slightly by the satellite’s sensors and has thus made a more vibrant and slightly psychedelic image. 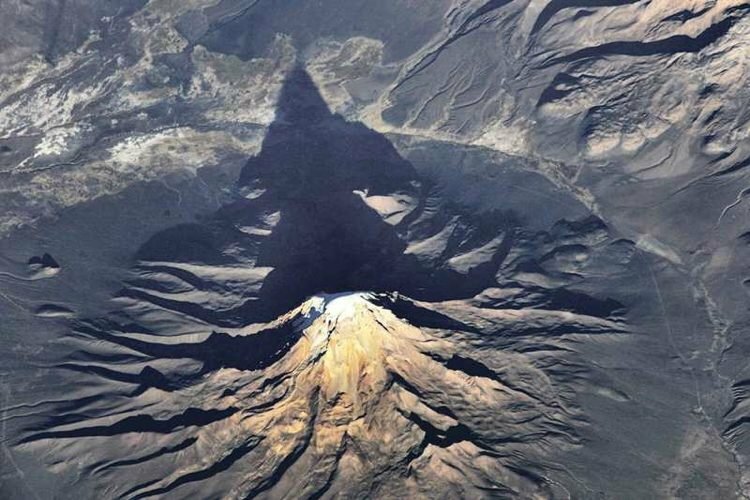 Taken by International Space Station (ISS) Astronaut Douglas Wheelock, this amazing shot displays the South America’s stunning Andes Mountains as the sun rises. 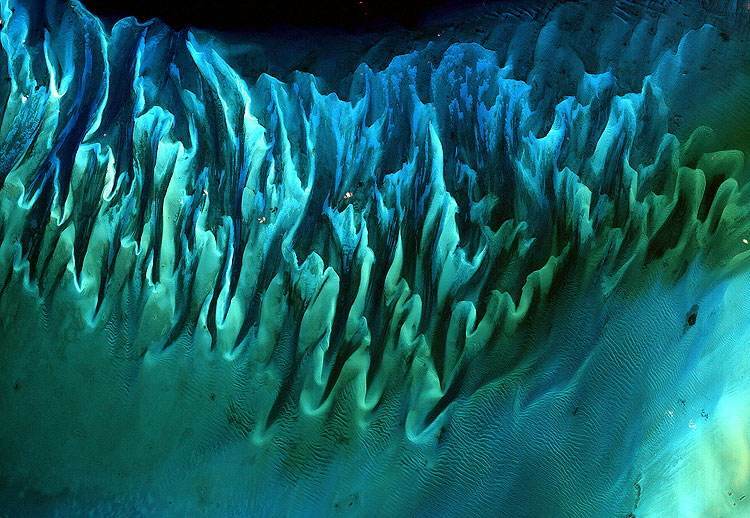 In this incredible image, the Landsat 7 has also applied the same coloring to the ocean sand in the Bahamas. The cacophony of color represents a true, albeit slightly altered, reflection of the tides, ocean currents and the Bahamas’ sand and seaweed. 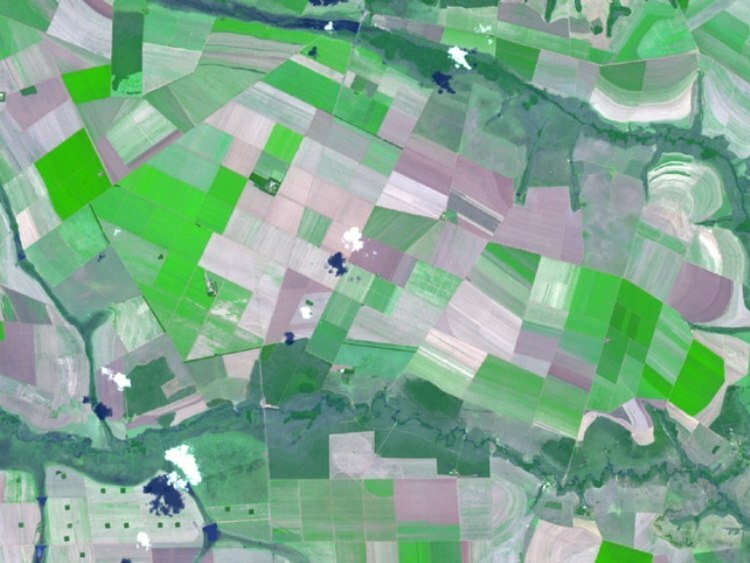 This amazing mosaic is the large expanse of woodland-savanna region, Cerrado, in southern Brazil. It’s a bit of an oldie but a goodie: the NASA Terra satellite snapped this spellbinding shot in early 2002. 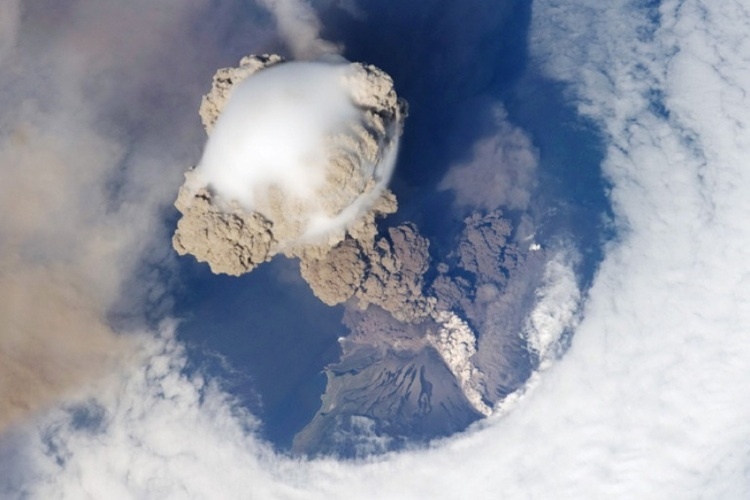 Astronauts aboard the ISS managed to catch this incredible image of the 2009 Sarychev Volcano eruption. Located in northeast Japan, it had been 30 years since the volcano had erupted.